Dr. Emily Gerstein earned her Ph.D. in Clinical Psychology with a child and family emphasis from Arizona State University in 2012 and completed a clinical internship at Rush University Medical Center. She then completed a two-year postdoctoral fellowship at the Waisman Center for Intellectual and Developmental Disabilities at the University of Wisconsin-Madison. 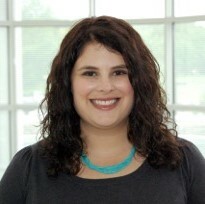 She is particularly interested in using observational data with families of children with developmental risk, and her research spans from the transition to parenthood to the transition to elementary school. Dr. Gerstein will be accepting a graduate student for the Fall of 2020.